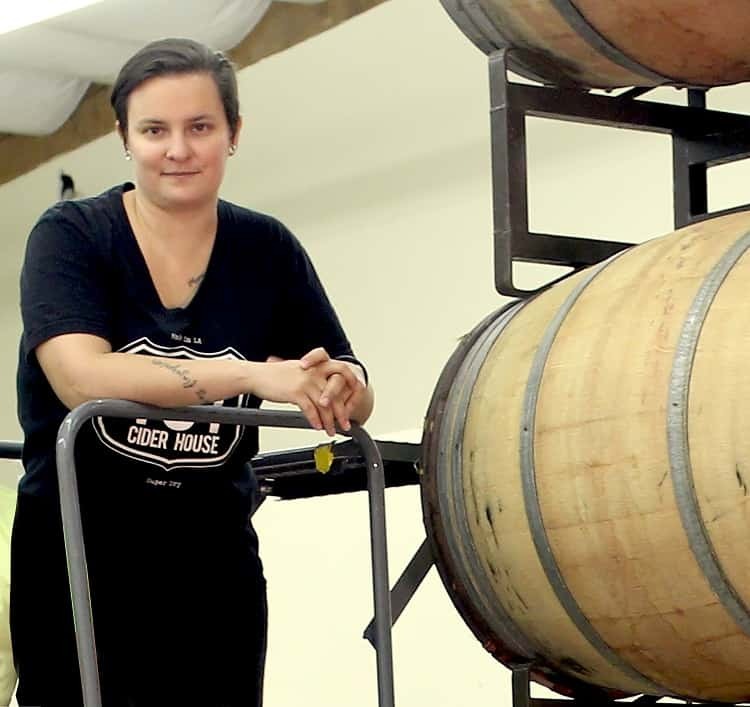 For our next few installments of our Women Making Waves in the Cider World series, we’re going to focus on cider companies that employ women in high numbers and in all types of positions. We’re interested in investigating how the culture of these companies can create models for those who still have some serious work to do on the diversity front. We believe that hiring practices and intentional opportunities for all sorts of people in the cider sector can create real and lasting change when it comes to the future of the industry. In our 12th edition of this column, we meet some folks from Half Pint Ciders, a cider-exclusive import and distribution company that’s based in Los Angeles, California. Since its founding in 2014, Half Pint has built a boutique portfolio of ciders from around the world, and has helped to introduce those products to buyers and consumers across the West Coast of the U.S. Of Half Pint Ciders’ seven team members, four are women employees who are helping this operation to grow and thrive. As part of the office staff, her days consist of numerous phone calls, which is natural for her, coming from an online retail background. “I really enjoy talking to our customers and being the first voice many of them hear on the phone,” she says. Ciera Licata is Half Pint Ciders’ director of operations and was one of the company’s first employees when it started up four years ago. “I used to joke that my official title was simply, ‘the wearer of many hats,’ but there is still a lot of truth to that, even today,” she says. “I dip my hands into just about every facet of the company on the daily.” At Half Pint, that means everything, from managing brand relationships to logistics and inventory management, as well as sales, marketing, employee management, taxes and making coffee. In such a strong leadership role, she’s very in touch with the company culture, and how it’s cultivated, at Half Pint. “One of the first things the owner of our company said to me when I was hired was that he wanted to create an office atmosphere that felt like a home away from home, a place you would be glad to come to every day because it was casual, fun and comfortable,” she says. “That is not to say that we don’t work hard every single day, because we do … Even so, the vibe is chill because we built it to be that way.” Licata brings her dog to work almost every day, and says she’s cleared her desk on more than one occasion to make room for a late-night pizza. “My record player lives in my office. I feel comfortable here, this is my place,” she notes. Overall, Licata says she wants to see more women stepping into the roles in the cider industry in the areas they’re most passionate about. 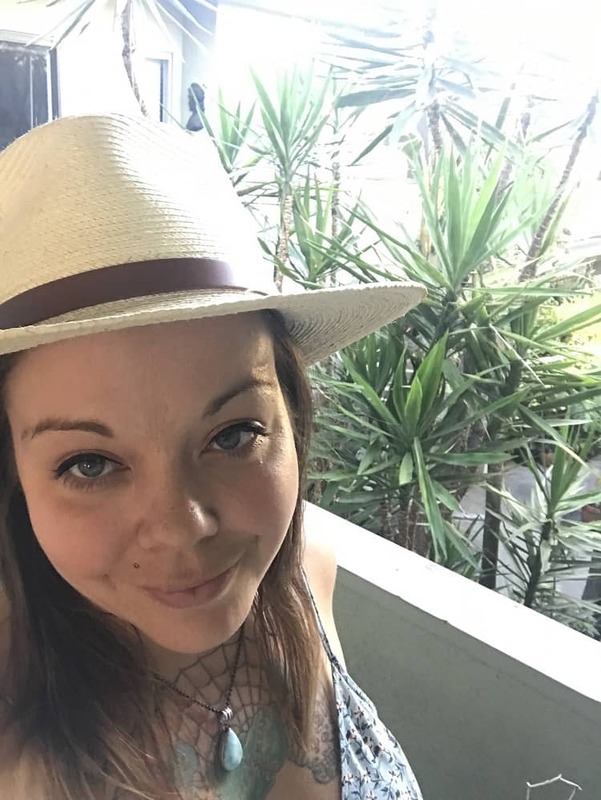 As one of Half Pint’s account managers, Hayner spends her days prospecting new accounts, emailing, taking phone calls, and stopping to visit accounts in person. “My favorite part is the people I get to meet and showing them the path to have better cider to offer their people,” she says. 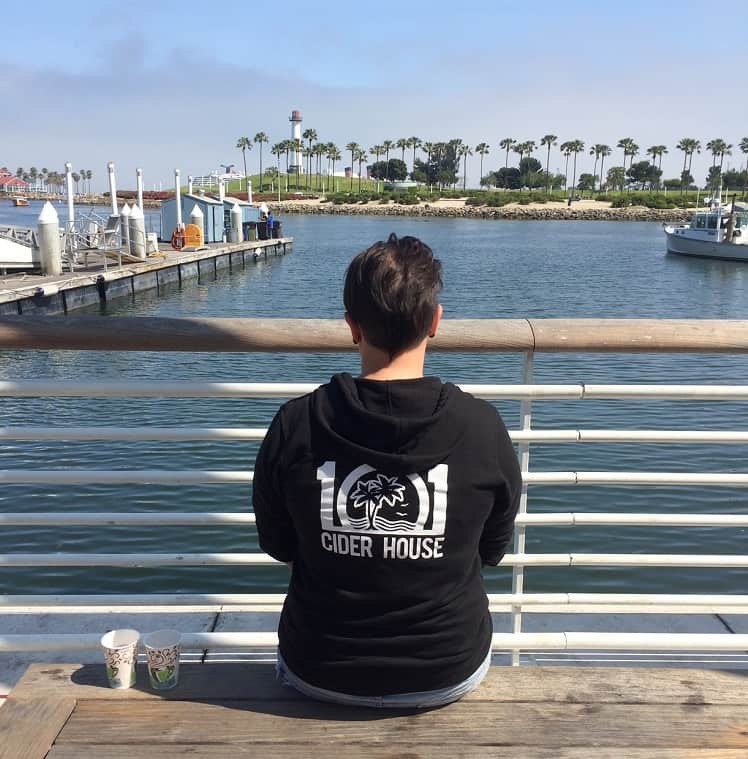 She says she’s proud to be on the frontier of the burgeoning cider scene in L.A., but echoes Licata’s statement that it’s still an uphill battle. 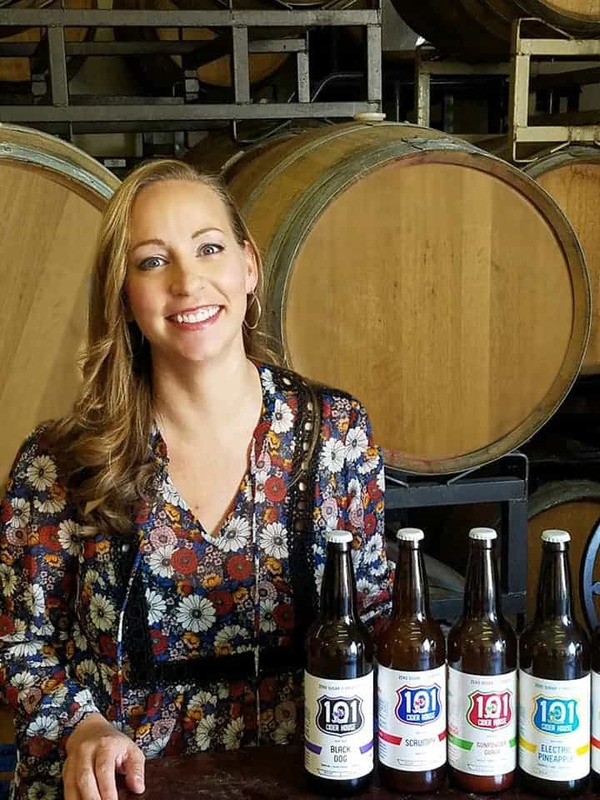 “I think some cities — especially those in colder, apple-producing regions — have a longer history of cider consumption than Los Angeles, but the challenges of introduction can be extremely rewarding,” she says. “L.A. is as ingredient-conscious as it gets, so our 101 Ciders, which are raw, probiotic beverages with no residual sugar, have gained popularity, they’re basically grown-up versions of pressed juice.” She sees a trend that, as consumers pivot toward healthier adult beverages, craft ciders have caught the attention of people looking to avoid the sugars and additives in many wines and the gluten in beer. Hayner gives Half Pint Ciders props for doing a great job of promoting diversity, and says even when they are grouped with the craft beer crowd, where she does see a big disparity between the number men and women, that they get a lot of respect from the local community. “They tend to appreciate that our ciders are sour. Also, after tasting beer all day long, variety can be quite welcome! But I do hate it when people associate drinking cider and femininity,” she says. These days, she’s all about dry, full-flavor ciders and has even taken a shine to sour ciders. Through her job at Half Pint, she aims to educate the public that the variety of ciders that Half Pint offers mean there’s something for everyone, “whether it be a sour and probiotic cider or a matcha green tea and yuzu cider or a funky farmhouse style that pairs well with some cheese!” Though she sometimes encounters people who automatically dismiss cider and won’t give it a chance, she likes the challenge of trying to change the perspective of consumers and encouraging them to try something new. To learn more about Half Pint Ciders, check out its website or follow along on Instagram! 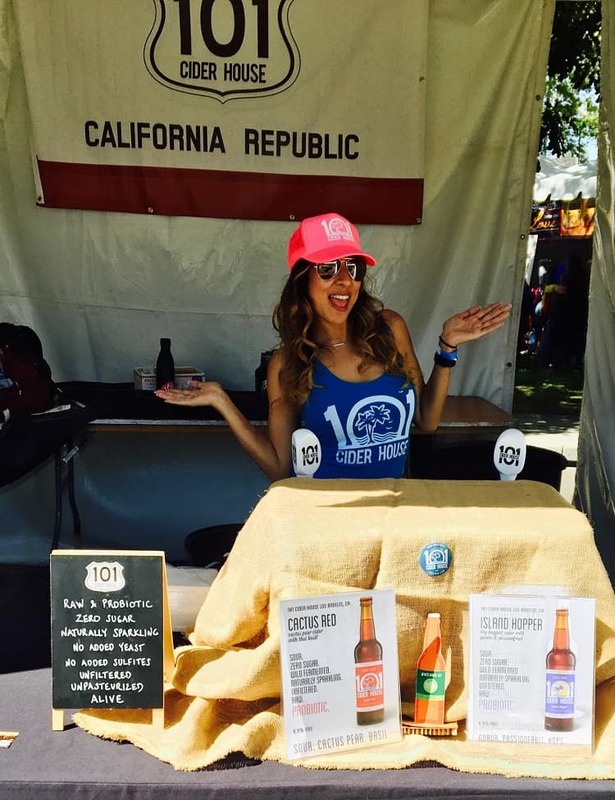 Half Pint Ciders is located at 31320 Via Colinas, Unit 110 in Westlake Village, California: phone: (818) 851-9018.